To help raise awareness of breast cancer during Breast Cancer Awareness month, British Journal of Family Medicine editor Rob Mair spoke to oncology nurse and author Alison Bailey about her new book, One Step at a Time. 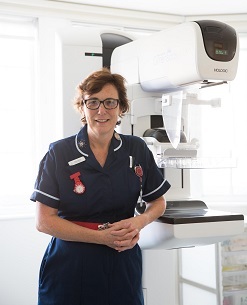 Drawing on her near 25 years’ experience, Alison Bailey can tell you all you need to know about chemotherapy and breast cancer. And, having cared for thousands of women, she knows what matters when it comes to their concerns. But, by her own admission, she can’t tell you what receiving cancer treatment is really like. The only experts in this scenario are those men and women dealing with the diagnosis – and that what led to Alison writing One Step at a Time. While openness and frankness led to many emotional outpourings, one of the biggest challenges Alison faced was reconciling the personal nature of the testimonies with writing a book that could stand up to clinical scrutiny. “Although it’s not a clinical piece of work, it had to be clinically correct,” says Alison. “We wanted to give people an idea of what to expect if they were diagnosed with breast cancer, and that there was a whole array of handy hints available to them, and psychological support. And, to bring things full circle, Alison has found that by collecting the anecdotes it has helped her improve the care she provides to her patients: “As the years have gone by and I’ve had the questionnaires back, I’ve found myself saying, ‘oh, why don’t you try this?’ I found myself regurgitating what these women had written. Now, for Alison the aim is to make sure every woman who is going through chemotherapy has access to the book. “Ultimately I’d like the book to be given to every lady who has to have chemotherapy for breast cancer as part of the care. I want it to be given to them free with their care. That’s the ultimate goal. ‘One Step at a Time’ is published by Filament Publishing and available to retailers in 220 countries and Amazon UK. Priced at £9.99.